This mural depicting Michigan can be found in a Chicago neighborhood. Michigan has gotten plenty of mileage out of Tim Allen's voice spreading the word about Pure Michigan as a travel destination. Now, the talents of a Detroit artist will lure Chicagoans to come visit Michigan's big cities. 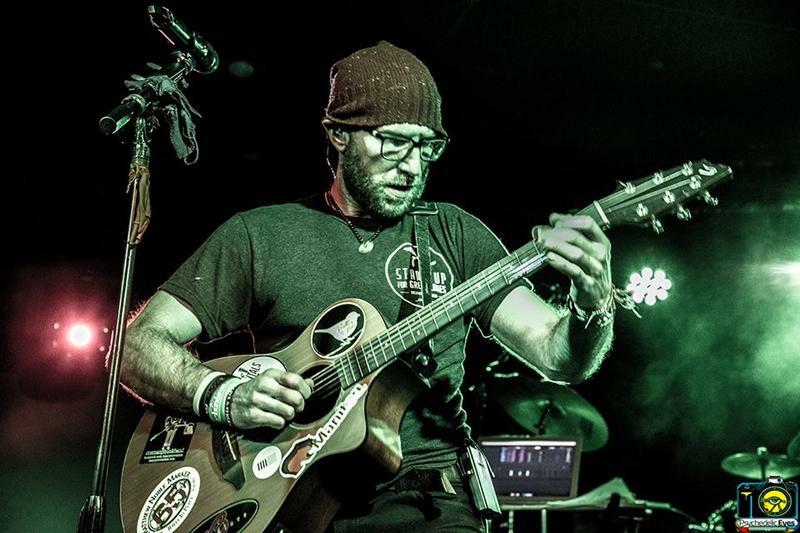 “Michigan is not only a place where you can get to enjoy beautiful natural areas, but [also] a place where you can enjoy night life and all the fun things there are to enjoy in the cities,” said David Lorenz, Vice President of Travel Michigan, which is part of the Michigan Economic Development Corporation. Pure Michigan has partnered with celebrated Detroit artist Sheefy McFly to create and install murals in Chicago. The $1.2 million Seek AuthentiCITY campaign will spotlight some of Michigan’s largest and most vibrant cities including Ann Arbor, Detroit and Grand Rapids. 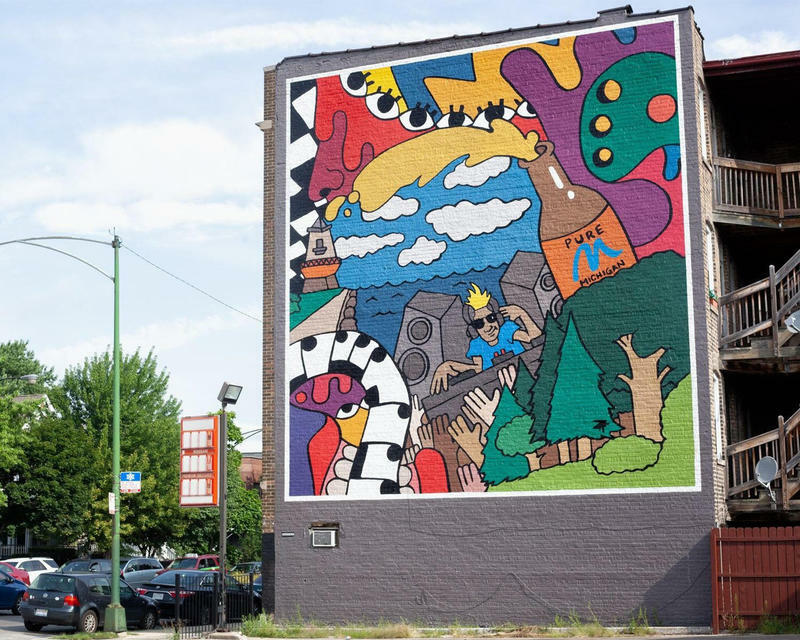 Lansing, Kalamazoo and Flint are some of the other big cities in Michigan that artist McFly will showcase in his mural that will be seen in Chicago’s Uptown and Wicker Park areas. Listen to the interview to hear more about the message behind these murals. Stateside's conversation with Doug Kim, director of Sae Jong Camp and Kyle Chang, former Sae Jong camper and counselor. Summer camp means many things to campers, outdoor fun or just a chance to get away from parents and siblings. For kids who come to Sae Jong Camp on Higgins Lake, it is also chance to be with others who share their heritage. 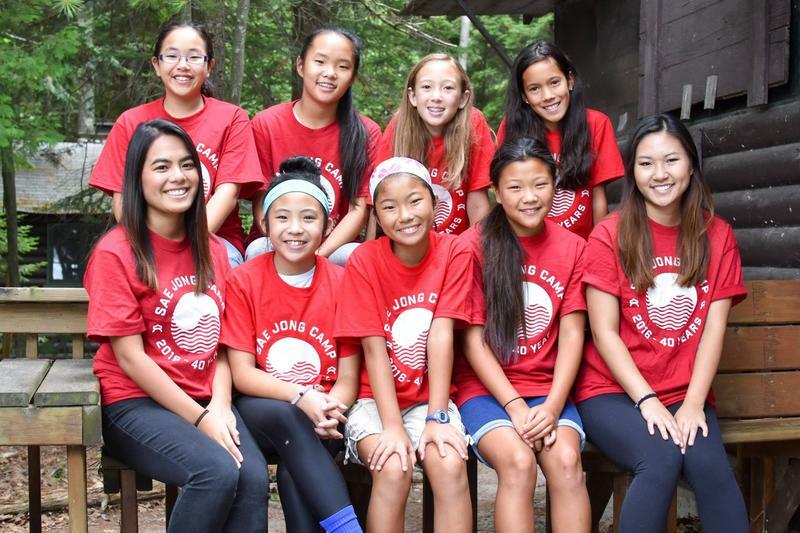 Sae Jong Camp is the nation's oldest continuously running Korean-American overnight summer camp. It's held each year at Camp Westminster in Roscommon drawing campers from all around the country. This year marks the 44th anniversary of Sae Jong Camp. Stateside's conversation with mixed media artist Mario Moore. Is it possible for a black man to rest in an institutionally oppressive society? That is the question Mario Moore wants to tackle in his art. Moore is mixed-medium artist and a Detroit native. 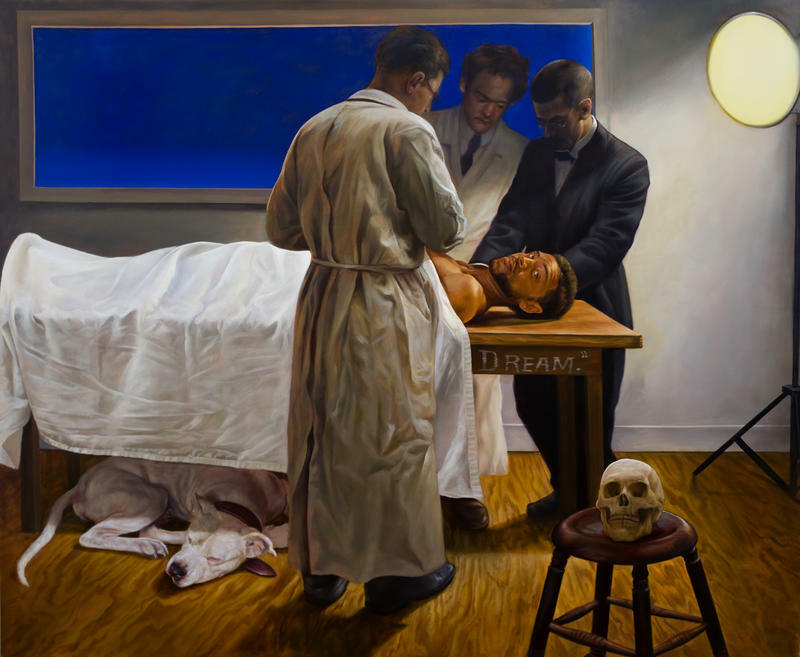 He sat down with Stateside to discuss his new exhibition “Recovering” which opens this weekend at the David Kline Gallery in downtown Detroit. 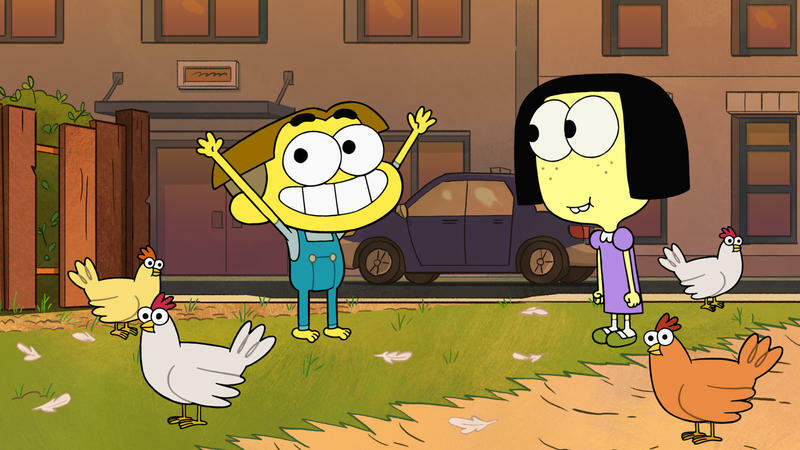 The Disney Channel has just rolled out a new animated kid series called Big City Greens. Chris and Shane Houghton, brothers and co-creators of Big City Greens, grew up in Clinton County, Michigan in the small town of St. Johns. The television show is about a family that moves from the countryside to the big city. The family’s trajectory is not unlike that of Chris and Shane, who moved from a small town in Michigan to the big metropolis that is Los Angeles.